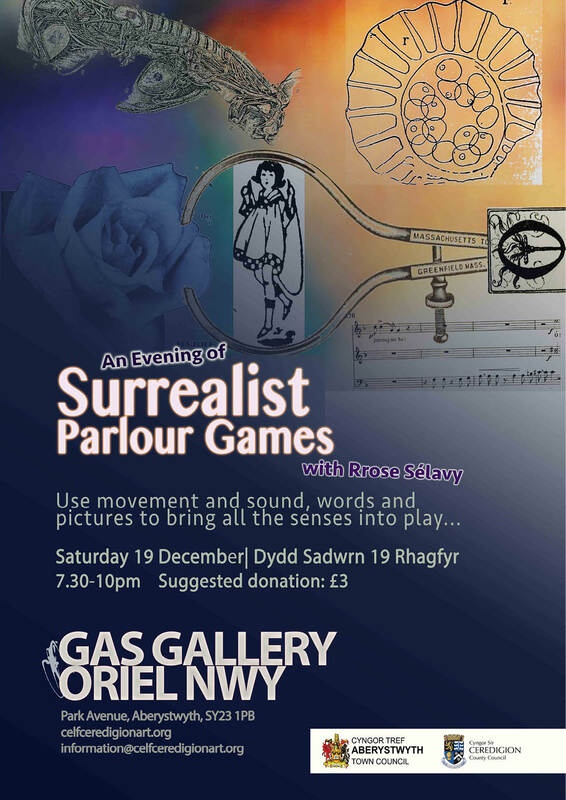 We have the dates for the next series of Surrealist Games evenings at the Gas Gallery. Come with us on a Surrealist search for the marvelous in the spirit of collaborative play. Upcoming dates are: 16th Jan, 20th Feb, 20th March 7:30-10:00pm at the Gas Gallery, Park Avenue, Aberystwyth. You are invited to an evening of participatory entertainment. Come join Surrealist practitioner and poet, Mary Jacob (Rrose Sélavy) to play Surrealist parlour games in the beautiful and unique environment of the Gas Gallery. Each session features a different combination of activities involving collective and joyous improvisation, based on parlour games that the Surrealists played and classic theatre warm-up exercises. We use movement and sound, words and pictures to bring all the senses into play. No experience is needed, just bring your sense of fun. Live music will be performed for some of the games, and you are welcome to bring along an instrument if you would like to join in a jam. Do you have an idea for a game or activity? Please let me know at the start of the session and we will see if it is possible to add your activity to the programme. 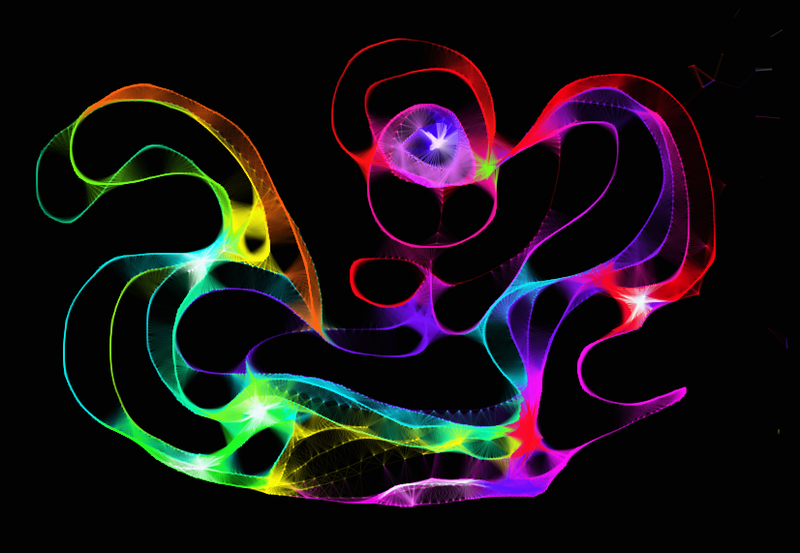 Our last surrealist evening of 2014 will feature Painting Sound with Light and more! Come along to the Gas Gallery, Aberystwyth at 7:30 and join us on our search for the marvellous!